First, you will need any of the following to be able to check your score. Enter any of your JAMB registration number, phone number or email. A pop window will open and display the result. 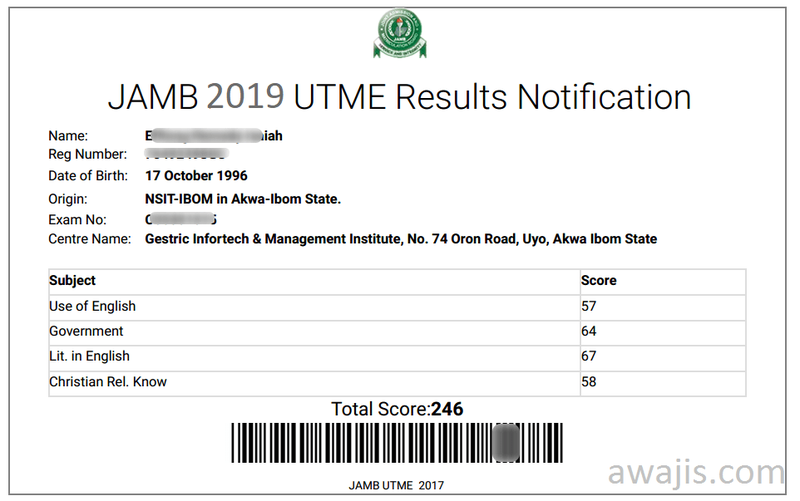 We have a series of reports in the past regards JAMB changing the marks of some students after they’d already checked their results. Candidates, who have once checked the results on phones but never printed, later complained of reduction/increase in their scores after rechecking when they were ready to print out. Most of these cases were confirmed true even though JAMB might deny it. This is why you must check your result as soon as possible. Then, print it and keep your printout for record and admission purpose. There’s a big difference between JAMB result (the one discussed above) and the one called ORIGINAL JAMB RESULT. While candidates usually print the JAMB result for about N200 in the local cafes, printing Original result will cost around N1,700. This price change is because original result involves paying to JAMB N1,000 (excluding online/Remita charges). And note that it has to be printed in colour which will increase a café’s service charge. 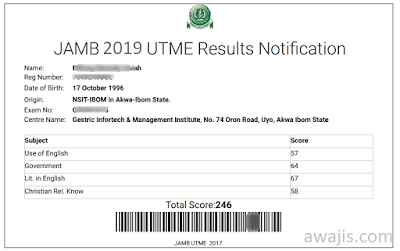 Read also: How Original JAMB result look and how to print it. Printing Original JAMB result doesn't have to be immediately. You will mostly need it during your post UTME registration and school's admission exercise begins or after being offered admission. Different Date of Birth on WAEC, NECO, NABTEB and JAMB – What is the Solution?